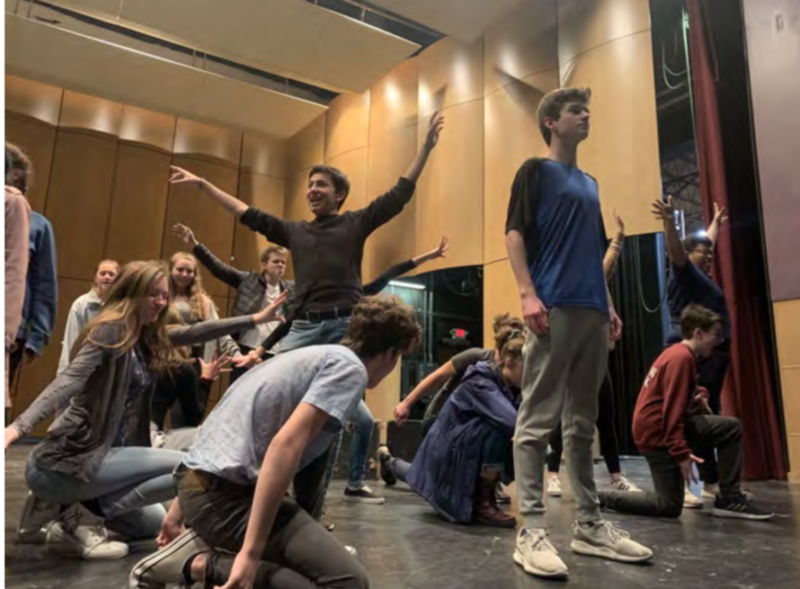 Pioneer Theatre Guild will present Fame: The Musical, the pop-culture phenomenon about the legendary New York High School of the Performing Arts. ● Sunday, May 5th, 2 p.m.
General admission tickets will be available at the door beginning one hour before each performance. Senior Francisco Fiori (center) rehearses the opening sequence with Fame cast members. 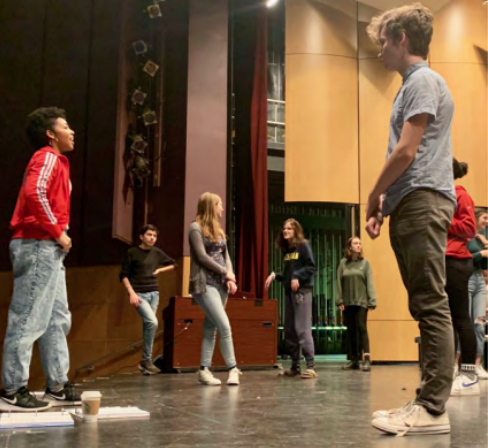 The creative team includes Director/choreographer Maya Alwan; Associate Director James Young; Associate Choreographer Thani Brant; Music Director Ryan Mackenzie Lewis; Assistant Music Director John Bogdan. Maya Alwan (in red) directs cast members in the opening sequence of Fame the Musical.